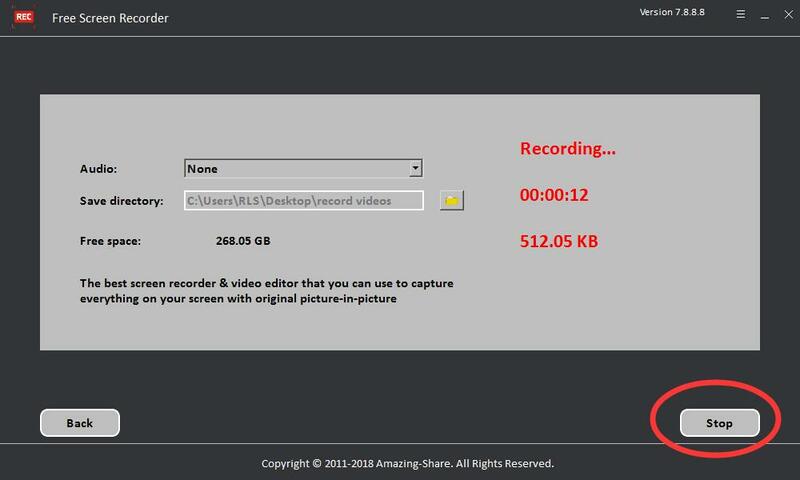 Amazing Free Screen Recorder provides users a super easy screen video recording solution. You can capture everything of your screen activity on computer. 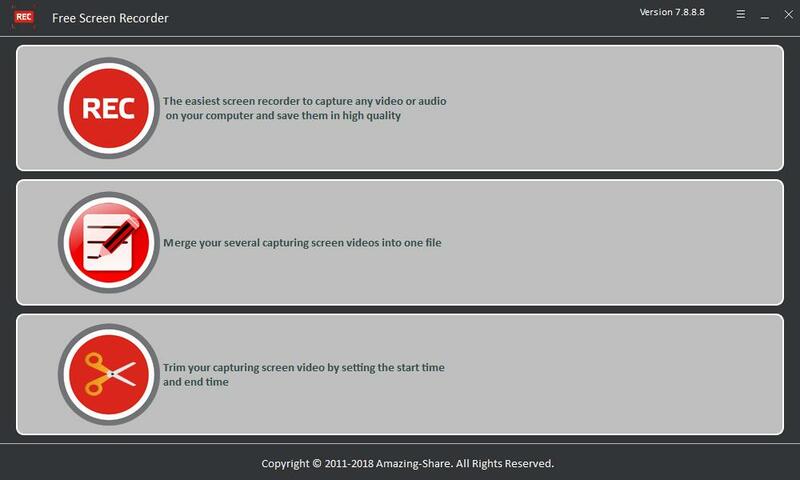 If you want to record desktop activities, webinars, webcam, games, Skype videos, live streaming, video instructions, website, software video reviews, games and create screen casts and software demos in HD, then Free Screen Recorder tool is a great choose. It supports output 1080P video file in MP4 format. What you see is what you get. It can also record audio on your computer, including the system audio and microphone audio and save them with lossless quality. After screen video recording, Free Screen Recorder allows you to merge your several capturing screen videos into one file or trim video by setting start time and end time. 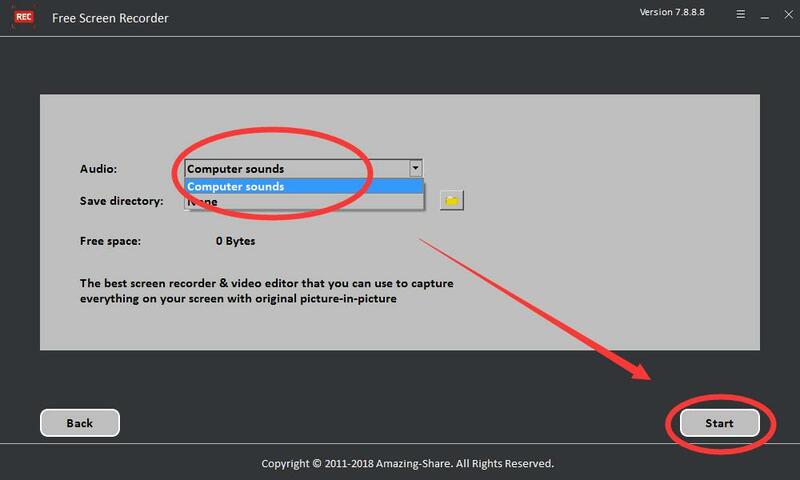 3 steps to record your computer screen: step 1, run Free Screen Recorder software and click "REC" icon on its main interface; step 2, select audio type and directory where you save video recorded, and then click "Start" button; step 3, click "stop" to finish video recording. Ashley - The recorded video presents great quality just like what I see on the screen. Camille - Finally I've found this Screen Recorder software. No watermark for the output and it meets my basic need totally. Thanks. Make high-quality animated GIF from various video formats. Save screen video recordings as animated GIF files quickly with lossless image quality.